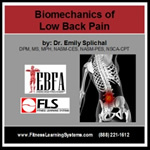 The Evidence Based Fitness Academy (EBFA) is an educational institution that is dedicated to changing the way the health and fitness industry look at foot and ankle function, human movement, and barefoot science. 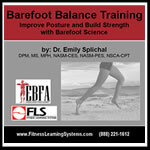 The EBFA Barefoot Training Specialist® : Level 1 online eLearning Certificate Program gets you in on the ground floor with the latest research in barefoot science as it relates to restoring foot function, corrective exercise, and athletic performance. 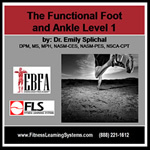 Take the first step towards joining the community of in-demand health and fitness professionals from around the world who have a solid understanding of foot function and barefoot science.